Our corporate group consists of four independent companies. We have profound experience and know-how about manufacture, distribution, food service and real estate, which are respectively our specialized fields. Each of us has high sales strategy, productivity and administrative ability and shows our potential to respond to our customer's needs. We're developing divers business to provide higher services. Founded Matsushita Stoke Manufacturing in Takatsuki, Osaka. Established Matsushita Stoke Industry Co., Ltd.
Altered the company name as Matsushita Metal Industry Co., Ltd. 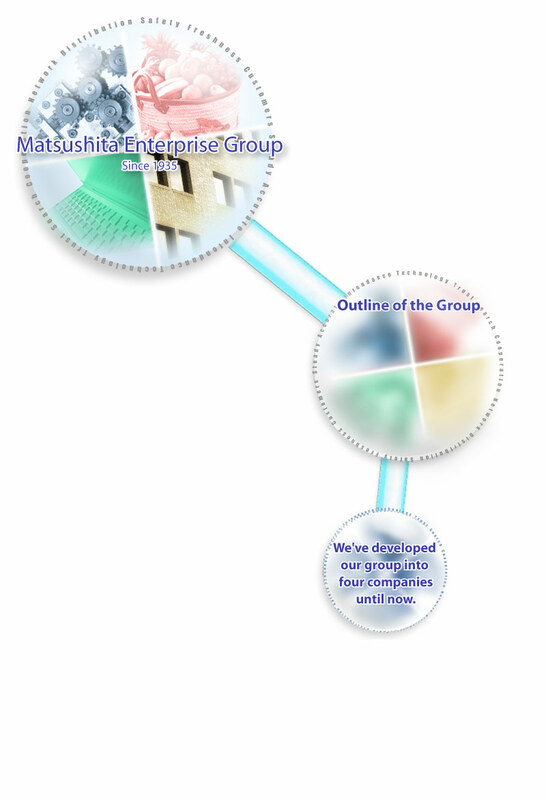 Established Matsushita Business Co., Ltd. Established Takatsuki Food Service Co., Ltd. Established Matsushou Industries Co., Ltd.
with PDF file is available. Adobe Acrobat Reader is required to brows the file.